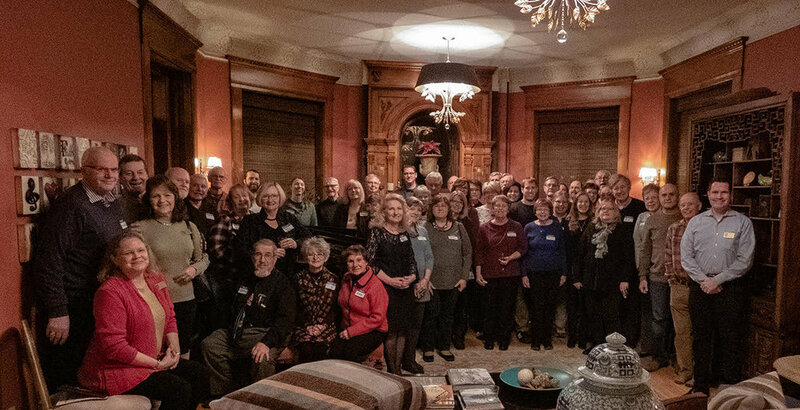 La Crosse County Historical Society has numerous volunteer opportunities throughout the year! Not surprisingly, organizations like LCHS are truly enriched and, arguably, kept alive because of the generous time and work of volunteers. That having been said, there are so many things that you can do to get involved with LCHS. There's always a need for tour guides, or docents. We staff the Hixon House with volunteer docents and schedule student tours at Riverside Museum. We have flower gardens that need tending, food that needs serving, tickets that need taking, floors that need sweeping. We're always looking for that person that may want to serve in a leadership role as a board member. In some cases, we may even have openings for student internships. If you love history, no matter your age, we would love to have you on our team. We can pretty much assure you, it will be a rewarding, fulfilling, entertaining, and fun experience. When you're ready to hear about about our opportunities just fill out the form below to contact our office!